Wind is often a desired effect on stage. We may want wind to blow through models’ hair in a fashion show, photo shoot or to add dynamics to an artistic performance or to quickly neutralise low smoke. 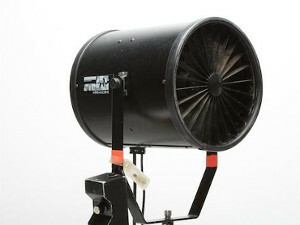 Efficient and quiet blowers are indispensable in all such cases. The speed of our blowers is 82km/h! The speed is fully controlled, which allows us to adjust the effect to the conditions and expectations. The fans can be controlled manually, remotely and electronically. The blowers are quiet so they can be placed on the stage near microphones.